Designed as a combination mirror for maximum utility. 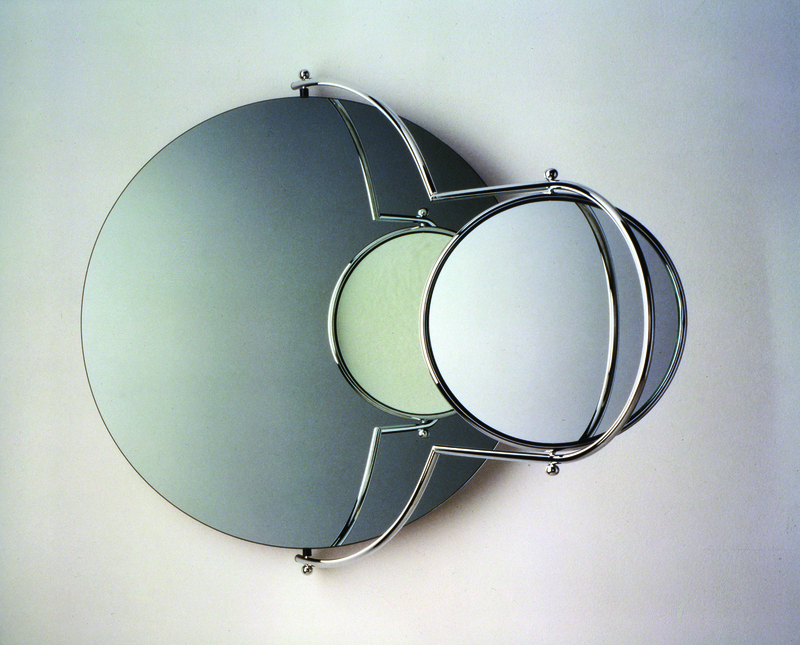 A large circular main mirror, with a fine tubular steel orbiting arm supporting a small vanity / shaving mirror, which pivots on its own axis to reveal both regular and magnifying mirror surfaces. The mirror must be mounted plumb on the wall meaning the orbiting arm will remain where positioned, easily achieved due to the simple fixing mechanism. The monthly newsletter includes details about Design Guild Mark holders and keeps you up to date with events and submission deadlines. The Furniture Makers’ Company is a City of London livery company and the furnishing industry’s charity. We support those in need, educate for the future and inspire excellence.